The comfort zone is a dangerous place to be. I'll admit it. I've been in a bit of a funk the past 3 years. Oh, I used to be on a roll. Years ago I became a certified personal trainer, then I learned how to teach indoor cycling, followed by 9 months in a yoga teacher training program. I filled my brain with theory, science, practicum, anatomy, inspiration and movement. I had good days and bad days with clients and participants, and I found my zone. The zone felt nice for a while, until I remembered how much I have left to learn. Learning never stops if you're a true student of life and you care about your cerebral health and your viability as a professional. But let's face it--the comfort zone is seductive. It makes you believe that you've made it, you're on top, you don't need to learn anymore. You've got this. But do you? Did I? Ummm, not so much. That's why events like the 2016 IDEA Personal Trainer Institute™ East (and West!) are crucial to the collective well-being of the fitness industry. It's where minds meld and movement is shaken and stirred. It's where you find the spark you buried deep in your psyche. I can feel the funk lifting. Here is one reason why: Professional vulnerability. During last night's panel discussion "Set Your Career on Fire," moderated by Trina Gray, owner of Bay Athletic Club in Alpena, Michigan, I was impressed with how authentic and transparent the panelists were. They could have faked us all out with only the good stories, but they didn't. No, they shared the heartaches and the embarrassing mistakes, the big boo-boos. No excuses--everything was on the table to view. Consequently, I gained more respect for each panelist and his/her success stories inspired me to continue to do my best. Brent Gallagher, MS, owner of AVENU Fitness & Lifestyle, Houston, Texas: "Get out of debt so that you have the resources to support your business and staff." Brett Klika, CEO of SPIDERfit Kids, San Diego: "Find something you do better than the average bear, package it and share it with others." 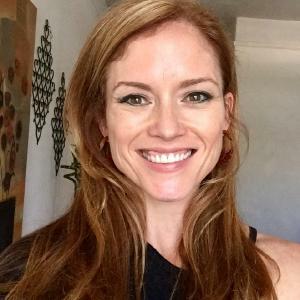 Ashley Selman, founder of Evolution Trainers, Mountain View California: "Don't undervalue yourself. Raise your rates. If you feel you need to be more educated before you do this, do it now!" Shannon Fable, Colorado-based director of exercise programming for Anytime Fitness: "Have a viable exit strategy. Think long-term and do your best to prepare for a fulfilling retirement." I'll be here if you need me, immersed in the institute, getting out of my comfort zone.